Latest Millennial trend – Ditching the city to go live on a farm. 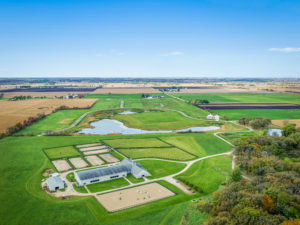 In Kane County, Ill., a developer courting one of three neighboring family farms to sell land told one farmstead’s owner, “The next time you go by this place, you won’t even recognize it.” The developer thought he was impressing the farmer with his vision to transform fields into a thriving suburban community. But to the farmer, whose family had tilled these acres since the early 1900s, the developer was inferring that he was going to wipe out the farmer’s heritage. Jane Strickland had better luck. The Fort Wayne, Ind., resident had been searching for a location to start a horse stables business and had bought one of those family farms in 2001. She soon saw that suburban sprawl from Huntley, Elgin, and other suburban Chicago enclaves was pushing westward. Almost always when residential development creeps next to farmland, the two coexist for a time but eventually the farm is annexed and disappears. Strickland and her brother, John DeWald, a San Diego developer as well as a trained biologist and chemist, sought a way to preserve the county’s farmland. They proposed an idea that became Serosun Farms and won over the neighboring Allens and Grollemonds who saw the development as one that would preserve the legacies of their farming families. Even some of the roads and a pond are named after the families and their children. There are now at least a dozen agrihoods—planned communities with housing built around working farms—such as Serenbe near Atlanta, Agritopia in Phoenix, and South Village in Burlington, Vt. Homeowners tired of the city’s hustle and bustle are drawn to pastoral country living and being near organic farms that supply locally grown food for farm-to-table markets and farm-to-fork restaurants. Much like the golf course, pool, or tennis courts were unifying amenities in master planned communities, food is emerging as a community-building tool. Click this link to read the rest of this article. Scroll down for information about this event! I hope this post finds everyone well and looking forward to Spring! It has been a busy winter on the farm and we are grateful for the milder weather El Nino has brought to the Chicago area. It is exciting for us to see this movement coming to the forefront. Developers are viewing this as a competitive advantage as more consumers prefer to build their new home around a farm versus a golf course. As Serosun Farms has been in development for a number of years, I’d like to review a little bit of history of how our “Agrihood” has come to be and the direction it is going for the future. Serosun Farms preliminary plat was recorded in 2009. My brother, John DeWald is the developer and I am the original owner of Serosun Farms. Serosun Farms originated with the establishment of my horse business called Serosun Farms Equine Sales in 2001. As the housing boom in the early 2000’s started to take place I became very concerned about the encroaching high density developments popping up all around the area surrounding my farm. John suggested I take control of the properties surrounding my 80 acre parcel and create a unique and progressive community that would value the land and the farming heritage in this area. Thus the plan for Serosun Farms, a sustainable farm preservation community was commenced. When we began proposing this plan early on, the term “agrihood” didn’t exist and people didn’t really understand what we were trying to do. Luckily, Kane County was very progressive in saving farm land at the time and was very interested in our idea and the opportunity it provided for saving land close to the suburbs. Even though the land was zoned for farming under the county, this transitional land typically would get annexed by an adjacent municipality and rezoned for development of some kind. In order for the land use to allow a combination of residential and farming, the county created and approved a new zoning category for this type of approach and in parallel we developed our concept for the farm community. The approval of the new zoning category coincided with the approval of the preliminary plat for Serosun Farms. This zoning was designated “Agriculture Preservation, Limited Development and was one of the first of its kind in the country to accommodate this land use approach. As the approval came in the midst of the housing crash and subsequent recession, we didn’t proceed with building infrastructure until we felt the market was ready. We did however continue to develop the farm’s sustainable practices and food program, work on habitat restoration of wetlands, prairie, and savannah woodlands, manage and develop the equestrian operations, advertise and host events on the farm to educate people on the exciting, new lifestyle community to come. Fast forward to today. 2015 was the year we decided to build the dream. How much the world has changed since our early days of ideas and planning. Local food and transparency of where our food comes from, sustainable building and energy conservation, getting back to nature and a more peaceful way of life, living in a place where health and wellness are a priority from foundation to food. A place where classic American architecture surrounded by stunning pastoral, prairie, savannah, and wetland views are a luxury. Our beautiful farmhouse model home was completed in June of 2015 and the first phase of roads completed in September 2015. A lot of exciting progress will take place this year including breaking ground of our first new residential homes, the continued progress on the development of the new wetlands, and starting the build out of our production farm including the planting of the apple orchards. The habitat restoration of our existing savannah woodlands and prairie will continue along with the development of our community and equestrian programs. One of the big mandates for Serosun Farms is education. We will be holding several events this year to enlighten people on what an Agrihood is and how they can be a part of this exciting new lifestyle. Although there are several developments throughout the country creating their version of an agrihood, Serosun Farms is unique in its approach of combining luxury high performance homes, artisan organic food farming, restoration and preservation of natural areas and wildlife habitat, healthy lifestyle activities and entertainment. Follow us on Facebook for updates and news, go to our website at serosunfarms.com to get information on events and view interesting articles and information as it relates to the development and management of Chicago’s premier Agrihood. Come out and visit us and see for yourself the progress on this exciting new community! Please send an email to Grace (gbagnole@serosunfarms.com) with the number of people you’ll be bringing. Also, if you haven’t joined our e-list, please do so today so we can keep you up to date on all the happenings here at Serosun Farms. I look forward to seeing everyone! 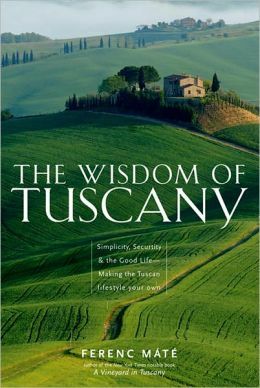 The Wisdom of Tuscany, by Ferenc Mate is a great, easy read about lessons to be learned from the Tuscan lifestyle. We are working to make Illinois a leader in early adoption of electric vehicles. Sign up to get regular updates as to what's happening at Serosun Farms! Interested in Making Serosun your Home? Please contact the Sales Office at 847.683.4796 to learn more about available lots. Serosun Farms is a sustainable community that blends peaceful, pastoral living with modern convenience.